North Carolina Rail-Trails, perhaps our closest sister organization, will be holding their first annual 5K race in downtown Durham on October 9th. The race starts at the Fullsteam Brewery at 4pm and will include a short section on the American Tobacco Trail. Race proceeds will benefit the advocacy and rail-trail development efforts of North Carolina Rail-Trails. Registration can be through Active.com or by check. 10/11: Race results are now posted on the NCRT site and pictures will be posted soon. 10/19: Initial pictures now posted on NCRT's Facebook Page. Bull City Open Streets (BCOS) will hold their fourth and final 2011 event on Sunday afternoon October 9th. The roads along Central Park and around Durham Athletic Park will be closed to car traffic, making active transportation easy and safe. Event highlights include: dance classes, bicycle powered smoothies, scavenger hunt, food trucks, skate demo, cake-off and much more. For background info, please see the Open Streets Facebook page. Durham has received and reviewed the bids for completing the ATT in Durham County. The lowest bid totaled some $7.7 million, ~2million more than costs estimated and funding available for the project. The City Manager and top staff are examining options to allow the bridge over I-40 and trail sections connecting the bridge to be contracted for soon with the balance to be done in a later phase starting in 2012. 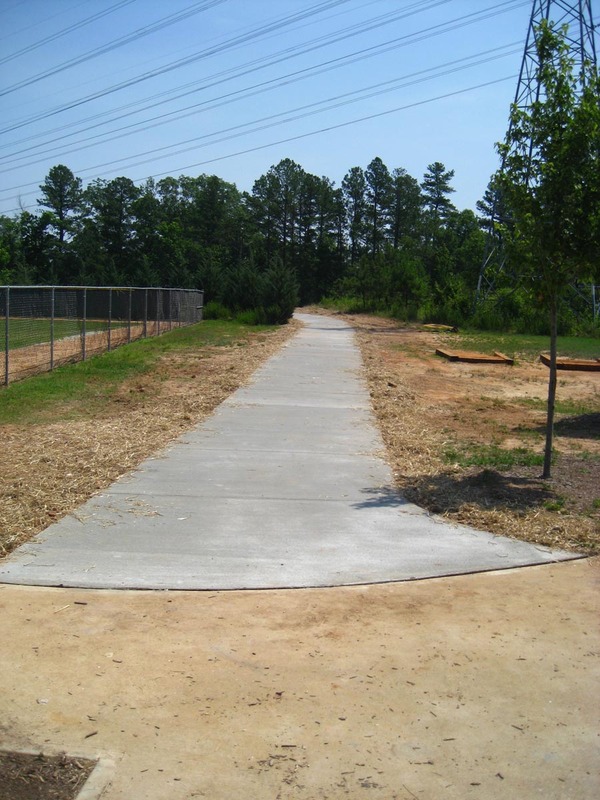 Additional funding from Durham may be obtained from dollars currently budgeted for sidewalks and greenways. Other funding from non-highway projects requested by the Durham-Chapel Hill-Carrboro MPO will also be explored. Coordination of such arrangements with NC DOT will be needed as well as approval by the City Council. An award date for the contract has not been estimated but could occur by October. In late August, Durham City staff announced pending efforts to shift ~$3.8 Million from four Durham sidewalk projects to the Phase E project for the ATT. This shift must be approved by the Durham-Chapel Hill/Carrboro Metropolitan Planning Organization as well as by Durham's City Council. Further detail on this proposal can be found in a http://www.heraldsun.com/view/full_story_news_durham/15206013/article-Ci... August 22 article in the Herald-Sun. On August 28th a member of a key advisory board says Durham officials need to look harder at why the bids for an extension of the American Tobacco Trail came in about 38 percent higher than expected. 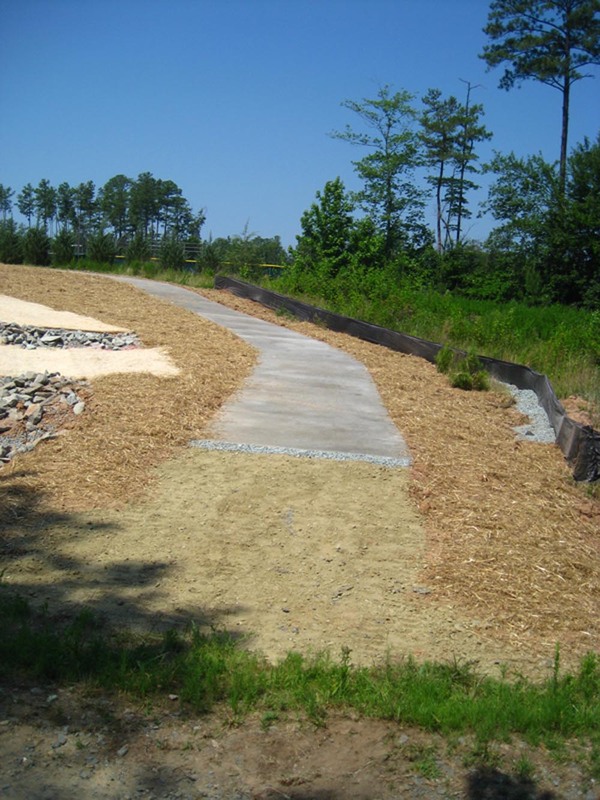 The $2.1 million overrun ..."indicates the possibility of a serious error in judgment" by the engineers who designed the project and the city staffers who worked with them, said Toby Berla, a member of the Durham Open Space and Trails Commission. Several years ago TRTC identified that users of the South Durham section of the ATT were often unaware that restrooms were available only a short distance from the trail at Herndon Park. As many users had asked us about facilities there and elsewhere on the trail we took action to try raise resources for construction of an all- weather path from the ATT to the Herndon building. Last year we were successful in getting a State Adopt-A-Trail grant and generous donations from the Carolina Tarwheels and the Tobacco Road Marathon. Construction of this 8' foot wide concrete walkway was completed in early June and is being used already. It is located ~600' north of Scott-King Rd. on the west side of the ATT. There is still some work remaining on the drainage basins and 1 small culvert but these should be done by late July. We're working to get signs to let trail users know of this new short cut to the restrooms. Take a look at some recent pictures of this fine new amenity. Durham's Public Works Department web site has reinstated their posting of summaries of the project's status. The final permits have now been obtained and the Request for Proposals were released in early June. Opening of the formal, sealed bids is now scheduled for July 13th and a contract should be signed by early Fall. Construction is expected to require 1 year. In early February the State DOT installed numerous NO PARKING signs on both sides of O'Kelly Chapel Road adjacent to the ATT crossing as well as at the other two crossings. Chatham County has informed us that the State Highway Patrol is now enforcing these restrictions as of ~ February 22, 2011. With these restrictions now in place, users wanting to access this area of the ATT may want to consider parking at Herndon Park (at Scott-King Road) or west of the crossing on Pittard-Sears road. The short utility access driveway just east of the crossing on New Hope Church Road is no longer available for trail parking since the town of Cary has recently posted No Parking signs there. We understand that Chatham County is looking into the sign postings on Pittard-Sears and New Hope Church Rd.